Ronald B. David, M.D. FAAP FAAN FANA, is a child neurologist who has practiced in Richmond, Virginia since 1970. He is an honors graduate of the Virginia Commonwealth University/School of Medicine and completed his fellowship in pediatrics and neurology at the Mayo Clinic in Rochester, Minnesota. He is board certified in Pediatrics and Neurology (with special competence in Child Neurology). Dr. David’s interests relate to the study and broad practice of child neurology but also focus on the area of developmental cognitive neuroscience now principally Autism Spectrum Disorders. He has a keen interest in classification issues. He holds two U.S. patents (7,433520B1 and 7,7613343) in this area. His interest in developmental cognitive neuroscience and classification became intertwined in 1985 when he initiated and became the principal investigator for a multi-center National Institute of Neurologic Disorders and Stroke Program Project, Nosology: Higher Cerebral Function Disorders in Children. (1 PO1 NS20489-01A1). Believing classification and structure as key to communication and understanding, Dr. David then developed a child neurology textbook that had a unique format and incorporated classification skills developed in association with the many colleagues with whom he worked during the period of the National Institutes of Health grant. Dr. David is a Fellow of the American Academies of Pediatrics and Neurology as well as an elected Senior Fellow of the American Neurological Association. He is the Series Editor of the Blackwell Neurology/Psychiatry Access Series, Second Edition and Editor of Child and Adolescent Neurology Clinical Pediatric Neurology Clinical Adult Neurology in that series. He is the editor of Demos Medical’s Clinical Pediatric Neurology. He is an associate editor of Demos Medical’s Clinical Adult Neurology (Third editions) He is a Richmond Virginia native, an avid sailor, and adventurer. With his wife Susan and many others, he is helping to create a sustainable medical health delivery system in the south of Honduras. (KHISH Proyecto Visión ONGD) Click here to learn more about KHISH Project Vision. He enjoys sailing and boasting about his seven children and fifteen grandchildren. Christine “Christy” Evanko, BCBA®, is a board-certified and licensed behavior analyst who has experience providing behavioral services for children and adults with Autism. She owns and operates Snowflakes ABA, through which she delivers ABA services to private clients. She has written a book introducing schoolchildren to a classmate with Autism, customized for individuals. She also created a piano program for children with Autism called Piano Foundations, through the Talent Developing Studio. Christy has an undergraduate degree in Theatre from Penn State, a Masters in Business Administration from UNC-Chapel Hill, and a Graduate Certificate in Applied Behavior Analysis from University of North Texas. Christy is a member of the Association for Behavior Analysis International (ABAI), Association of Professional Behavior Analysts (APBA), and the Virginia Association for Behavior Analysis (VABA). She is certified to provide Comprehensive Behavioral Intervention for Tics (CBIT) through the Tourette Association of America. Christy loves team swimming and volunteers as the manager for her local swim team, as well as works for the Greater Richmond Aquatic League during the summer. She is also the leader of her daughter’s Girl Scout troop. Christy is blessed with a wonderfully supportive husband and three children, one of whom is diagnosed with Autism. 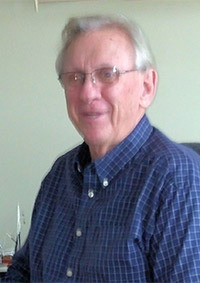 Dr. James Polyson began working with autistic children as a behavior therapist in 1973. In 1980 he obtained his Ph.D. in Clinical Psychology from the University of Alabama, a program that is approved by the American Psychological Association. Dr. Polyson was the recipient of a National Institute of Mental Health Fellowship. He also completed an APA-approved internship at the Virginia Treatment Center for Children. Dr. Polyson is a licensed independent practitioner in Clinical Psychology and a Member of the American Psychological Association. Before going into full-time private practice Dr. Polyson served in tenure-track faculty positions at Indiana State University and the University of Richmond. While maintaining a part-time private practice he taught undergraduate and graduate courses, including Family Therapy, Child Psychotherapy, Personality Assessment, Intellectual Assessment, Research Methods, Abnormal Psychology, Theories of Personality, and the Psychology of War and Peace. Dr. Polyson has published numerous articles, book chapters, and books in these areas. He also supervised the clinical work and dissertations of doctoral candidates. At the University of Richmond, Dr. Polyson taught a graduate seminar on Classroom Behavior Management, helping primary school teachers gain control of their classrooms. Currently, he serves an Adjunct Assistant Professor of Psychiatry at Virginia Commonwealth University. 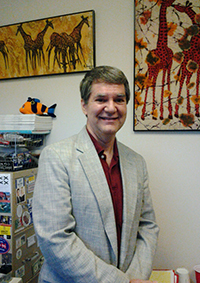 Dr. Polyson brings 33 years of post-doctoral experience working with children, adolescents, adults, and families. Using a team-oriented systems approach he works with other professionals to develop a comprehensive, individualized treatment plan for each patient. Many of his patients are seen concurrently through Children's Neurological Services where Dr. Polyson serves as a Clinical Consultant. Services provided by Dr. Polyson include individual, group, and family therapy, psychological testing, parent training, conflict mediation, seminars and workshops, expert testimony, supervision of doctoral licensure candidates, and teacher consults. In family behavior therapy Dr. Polyson has developed a parent training program for severe behavior disorders called the Obey or Pay System (TM). Jacquelyn Burriesci, M.S, L-BCBA is a Board Certified Behavior Analyst who has over 4 years experience providing applied behavior analysis (ABA) services for children with Autism between the ages of 4 and 21 both in the home as well as in the school setting. 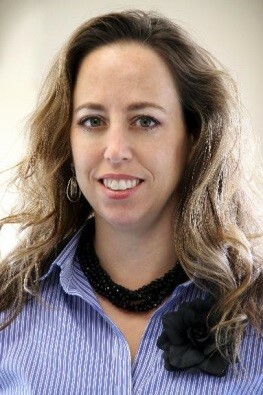 She is currently the Clinical Director for the Peninsula School for Autism in Newport News. Jackie holds a Masters of Science degree from Saint Joseph's University where she studied Criminal Justice with a concentration in Behavior Analysis. She has a passion for serving students with Autism and looks forward to many more years serving individuals on the spectrum. In her free time, Jackie enjoys time with her husband and children. 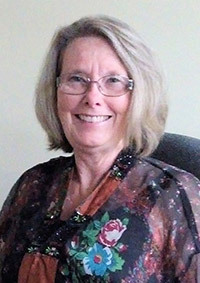 Patricia West, Ed.D is a K-12 educator specializing in students with disabilities. Pat’s endorsements are in Learning Disabilities, Emotional Disabilities, and Intellectual Disabilities, School Administration K-12, and General Education K-8. Pat’s undergraduate degree is in Elementary Education and Intellectual Disabilities from the University of Missouri, a Masters in Special Education from UVA, and a doctorate in leadership & policy studies from VATECH. Pat’s background in education is from both the public and private arena. Prior to moving to private education, Pat worked in Henrico County Public Schools as a teacher, building administrator, and central office director. Pat currently is the Head of School for a non- profit K-12, school educating students with disabilities. Northstar Academy serves 12 of the 13 disability categories identified by IDEA. Pat is a member of CEC and the Association for Supervision and Curriculum Development. She is an adjunct professor at the University of Richmond, and Averett University. Pat enjoys walking her dogs, swimming, reading, and relaxing on the beach. Susan Lewis Pillsbury David MD is a Buffalo New York native. Her life has been defined by her faith, her keen unaffected intellect and transcendent care for others. In High School, she distinguished herself by receiving both a New York State Regents and a National Merit Scholarship. She completed her undergraduate education at the State University of New York at Buffalo with a major in Psychology. She received her postgraduate medical degree from the Medical College of Virginia in 1977. She completed Pediatric Residency there in 1980 and thereafter entered a career in private practice Pediatrics. Her practice focused on the general pediatric care of poor and disabled children (primarily those with Autism). 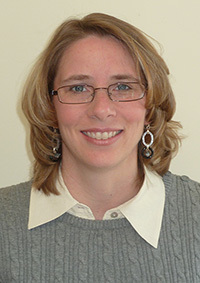 She has been the Director of Pediatric Training for the Chesterfield Family Medicine residency program for 13 years. She became a part-time physician with the Virginia Center for Autism and Related Disorders in 2010. 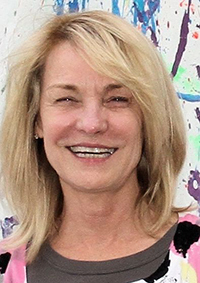 She was invited to join the International Society for Autism Research in 2011. In 2012 she was the recipient of a Health Corporation of America's Frist Humanitarian Award. This award was given “In recognition of exemplary service to patients and the healthcare community and in recognition of a dedicated spirit and concern for others” and for an “outstanding commitment to humanitarian values…” She was cited for "serving the Richmond area in pediatrics for over 30 years" and for taking "her love for helping others to Central America." In doing this she "has built a reputable foundation of caring and trust to the people of Honduras." She recently completed the University of the South's School of Theology four year program, Theological Education for Ministry. This is an affirmation of her faith, a complement to her Honduran mission and a living testament to her life’s values. When she is not herding grandchildren, her husband or Honduras volunteers she enjoys cooking, reading, or completing crossword puzzles in ink! Ramon E. Pardue, M.S.W. 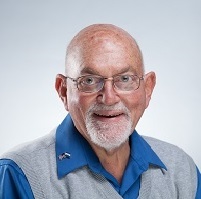 “Ray” is a child advocate and educational consultant with over fifty years’ experience working with children in Virginia. Ray served as the Chief Executive Officer at St. Joseph’s Villa for twenty years. Services he created were a Respite Care Center for children with Developmental Disabilities; Flagler Home a service for women and their children who were struggling with homelessness; a fully accredited, licensed, research-based, special education service known as The Dooley School which provided special education to children challenged with Learning Disabilities, Emotional Disturbance, Autism Spectrum Disorders; and Mental Retardation/Intellectual Disabilities and other behavioral disorders; an Emergency Shelter for children subjected to physical and emotional abuse. Ray’s initial work experience was in juvenile corrections in Virginia. He served in a number of different specialized settings for Virginia youth in both line and administrative positions. Ray also served on the Virginia Department of Social Services Advisory Committee on Policies and Standards Governing Investigations of Child Abuse and Neglect in Out-of-Family Settings, and he received The Commissioner’s Award “For Outstanding Leadership and Services in the Prevention of Child Abuse and Neglect” U.S. Department of Health and Human Services. Ray is currently working with his wife in private practice focusing on child advocacy and educational consultant services for children and their families struggling with Autism Spectrum Disorders and other developmental disabilities requiring special education services. He also conducts educational group counseling with young adults and children struggling with High Functioning Autism/Asperger’s Disorder. As a subject expert in the Federal Law- Individuals With Disabilities Education Act 2004 (IDEA 2004), Ray also serves as a consultant to various attorneys in Virginia regarding the implementation of this law in the public schools. Pamela A. Pardue, M.Ed., educational diagnostician, consultant and child advocate moved to Richmond, Va. in 1976 bringing a college degree in elementary education and psychology and a dedication to children with disabilities. Pam has forty- three years’ experience working with children and families struggling with neurological and mental health disorders. Pam has a Master’s Degree from the University of Richmond in Education, a current Virginia teaching license endorsements in Learning Disabilities , Emotional Disturbance, School Principal and Elementary Education grades K-8, coursework with The College of William and Mary doctoral program in Educational Leadership, graduate coursework in Autism Spectrum Disorders, and certification as an ADOS 2/Autism examiner. Pam has thirty-one years of experience as a special education teacher and administrator. She has proven to be innovative and creative in designing, developing, and administering specialized services for children. Pam dedicated twenty-six years of her professional career in leadership roles at St. Joseph’s Villa, Richmond, Virginia. Following her position as Principal, she assumed the role of Chief Operations Officer with responsibility for a collaborative system of services for children with severe disabilities. One such service was the development of specialized educational academies within the Dooley School, including Brook Road Academy, a research-based school for children diagnosed with Learning Disabilities and/or Asperger’s Disorder. Under her leadership, The Dooley School was recognized by the U.S. Department of Education for Excellence in Education. Pam has also served in other significant leadership roles in Virginia including President of The Virginia Association for Independent Specialized Education Facilities. In 1999 Pam left The Villa and opened a private practice as an educational advocate, consultant, and diagnostician working with children and families seeking specialized educational services required by federal law- Individuals With Disabilities Education Act 2004 (IDEA 2004). Dr. Angela M. Gibson, Ed.D. Dr. Angela M. Gibson, Ed.D., has over 20 years of experience in educational leadership, administration, student affairs, and instruction. She has served as faculty achieving the rank of Professor. Angela holds a doctoral degree from Texas A&M University – Kingsville in Educational Leadership with concentrations in community college education and adult education. She has a Masters of Arts degree from Marymount University in Human Performance Systems and a concentration in Instructional Design and Development. Dr. Gibson serves as a Lecturer at Texas A&M University – Kingsville in doctoral and graduate programs within the Department of Educational Leadership and Counseling. Also, she is active as faculty facilitating training courses and workshops for professional educators with the Online Learning Consortium (OLC). She has been published in various peer-reviewed journals such as the Journal of Asynchronous Learning Networks, Community College of Research and Practice, and Issues in Educational Research. Dr. Gibson is active in national and international education associations presenting and serving in leadership roles. Additionally, she serves on editorial review board and functions as an article manuscript manager and reviewer for education journals. She received the Online Learning Consortium (formerly known as Sloan Consortium) 2014 Effective Practice Award and was part of the team receiving the 2017 Effective Practice Award. In addition to formal instruction, Angela is a NASA/JPL Solar System Ambassador and provides STEM (Science, Technology, Engineering, and Math) and STEAM (STEM with the Arts) learning opportunities, events, and learning in Pre-K and elementary schools, at libraries, and in her community functioning as STEM educator. Dr. Gibson also provides outreach and educational awareness on science, space, and STEM issues through social media at formal and informal settings. She has been invited to provide social media and educational outreach support at various NASA and Congressional STEM focused events. Angela has a dedication to life-long learning and to serving others. She believes in the success and achievement of all learners. She cherishes time with her husband, son, and three dogs, and enjoys wild-life gardening.